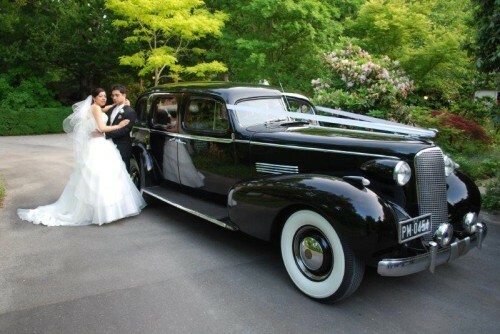 As well as sleek, sophisticated and luxurious, Cadillac wedding car hire allows you to ride in a vehicle with an incredibly interesting history. Stunning lines and smooth performance make Cadillac wedding car hire an easy choice for your wedding day, but there is so much more to these cars. They are old school classy with a whole lot of cool. We bet you didn’t know that the very first presidential bullet proof limo was a Cadillac. Actually belonging to Al Capone, but impounded on his arrest, the car was pulled out of the impound yard by the Secret Service to transport President Franklin D. Roosevelt to a congress speech. Cool fact number 2: It was the first car mass-produced with an enclosed canopy. 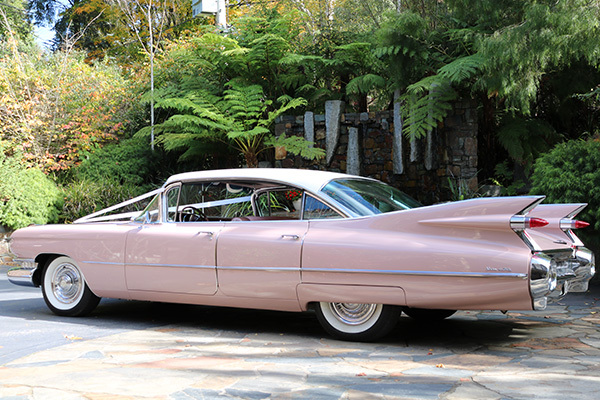 Although well known for its open top style, the Cadillac created a canopy so the occupants ‘didn’t get wet in the rain’. Pure genius and great news for your wedding day, as you won’t need to worry about the weather. They were first to introduce an electric start engine and the first American car maker to engage an automotive stylist. In 1950 Cadillac created a model that featured leopard fur upholstery, as well as a gold-plated instrument panel and ignition key. Throughout history these cars have been all about comfort, style and pleasure and Cadillac wedding car hire is going to give you all that and more. 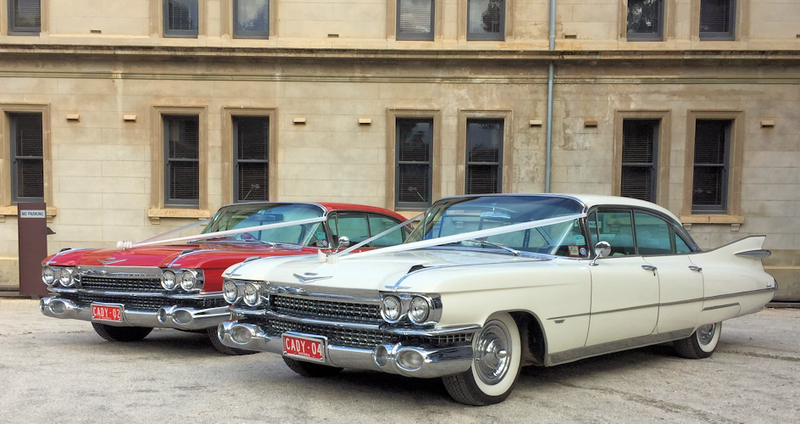 Recognised as one of the most well-known and iconic cars ever made, a Cadillac is the perfect choice to get you around in style on your wedding day. While you won’t get the bullet proof feature, you will get stylish comfort, smooth ride and casual cool. It’s exactly the look you’re going for, right! You really won’t have many opportunities to ride in a Cadillac throughout your life, so make it happen for your wedding. 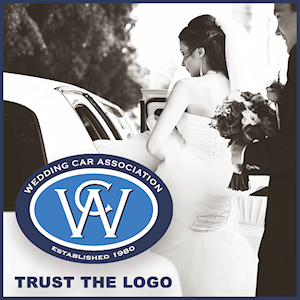 Check out the Victorian Wedding Car Association website, and find your dream Cadillac wedding car hire!